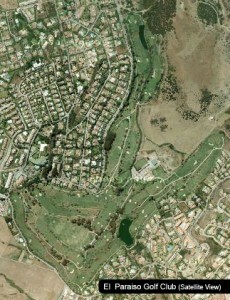 The layout of the El Pariso golf course through this beautiful scenery provides an enjoyable test which is also equally fair, challenging and rewarding for golfers of all abilities. 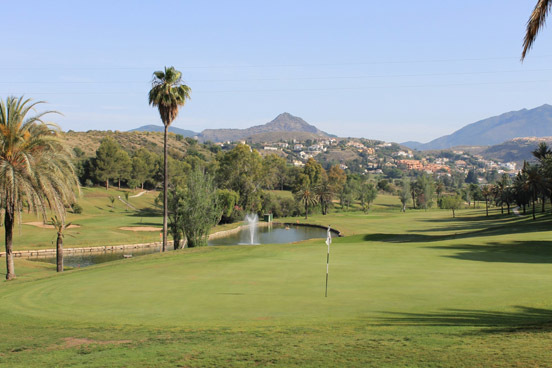 El Paraiso presents generous easy walking fairways set amongst palms and pines, oleanders and olives trees with meandering streams and two magnificent lakes. Club selection is all important and a deft touch round the greens is essential to master the challenges presented. The clubhouse sits in the heart of the course, looking onto the 18th green and was created out of a number of country “casitas” giving it an intimate and friendly ambiance. The restaurant comprises of a beautiful terrace overlooking the 18th hole and serves a variety food. Whether it be for breakfast, lunch, a snack or just a refreshing drink you’ll be welcomed by the friendly staff at El Paraiso restaurant.